A modern and well run zoo with an excellent programme of activities for kids. 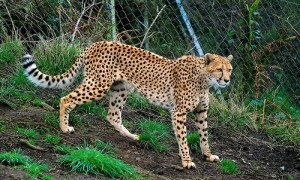 It is located on Cave Hill, overlooking the city, and houses some 1000 animals and 150 species in its 55 acres. The majority of the animals in the zoo are endangered in their natural habitat, and Belfast is known for its particularly large, green and well thought out enclosures. The zoo has a number of breeding programmes which have been recognised internationally for its excellence. Among the species in danger of extinction bred at the zoo are the Golden Lion Tamarin, the Mhorr Gazelle and the Malayan Tapir. 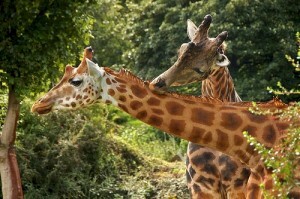 Particularly notable is the Zoo’s population of Rothschild’s giraffes, one of the most endangered of the nine giraffe species. More than 30 of these stately animals have been born in the Zoo over the years, three of them in 2011. It is worth touring the zoo using one of the three ‘trails’ which have excellent printed guides including activities for kids, teaching them about animal conservation, habitats and animal life cycles while engaging them with games and puzzles. The worksheets for each trail are available in different forms for each age group, so everyone can join in. There are regular special events, exhibitions and displays at the zoo and it is worth checking their website to see if there is anything on while you are in the area. The zoo employs a dedicated staff for education, who as well as organising events on site bring animals to local schools for education purposes. The zoo is open all year round, from 10am to 7pm in Summer and from 10am to 4.30pm the rest of the year. The zoo is large, there is lots to see, so allow at least a half day to get around. Have you something to add about "Belfast Zoo"?